What are the qualification for a Kentucky VA Home Loan? For a currently serving service member, your service will immediately qualify as a stable job. For Kentucky veterans no longer on active duty, you’ll want to have at least 12 months at your current job or be in a similar line of work to your most recent work. Two years or more with an employer is the ideal job history for a mortgage. If you started a new job recently, you may be able to reference your previous work history, work in the service, or educational background to support the stability of your new job. In addition to standard paperwork, if it’s a brand new job, we’ll also be looking for an offer letter. Some types of jobs are inherently less stable than others. If you’re receiving a salary, your income is guaranteed short of job loss. If you’re receiving an hourly pay, then there is a good idea of what you’ll likely be making. But if you’re working any type of commission related job, your income is volatile. It could be high one month and zero the next month. For commission jobs, you’ll want to have at least two years of history reported to your tax returns. We’ll then be able to use a two-year average to determine what we can use as your monthly income. You should have zero late payments on either your rent or mortgage within the last 12 months – preferably having zero late payments. If this isn’t possible, focus on keeping all current accounts paid on time. Your new history will eventually bury the old late payments. If you have no credit score, we can use alternative trade lines like rent, utility bill and car insurance. DTI will be referenced commonly throughout the loan process. This determines how much house you can afford as it’s your monthly debts considered against the gross monthly income (GMI) we’re able to use for your mortgage. Ideally, your total DTI will be below 41% of your gross monthly income. This means someone who makes $5,000 monthly would want all of their collective credit related debts + new mortgage to be below $2,050 for the month. For example, According to CNBC, the average car loan is $523 a month. If you add in another $27 for a credit card, that would be $550 in credit debts + housing. So, your mortgage payment would want to be under $1,500. You can potentially be approved for more, but this would be the ideal number to aim for. You must have at least 90 days of active duty service. For Reserves, at least six years of service. For veterans, you must have a discharge other than dishonorable. The first step is to get your (COE and DD Form 214 for A Kentucky VA Mortgage Loan) in order as well as reviewing your information to make sure you qualify. If you don’t, we can get you on the right track. Determining your eligibility and the maximum purchase price is the first step you’ll need to take for your ​Kentucky ​VA Loan. VA Loans don’t technically have a maximum mortgage/loan limit, but they do have a maximum amount they’ll 100% finance. On the other hand, FHA does have a maximum mortgage. This is an actual limit on the amount you can borrow. Using a VA Loan allows you to finance up to 103.3% of the purchase price, with 100% going towards the purchase and the remaining 3.3% eligible to go towards your closing costs. Determining your eligibility will involve reviewing your veteran status, Certificate of Eligibility (COE), county limits, income, credit, and job stability. These factors will all contribute to your VA maximum mortgage. The first thing you’ll need to do is to make sure you’re an eligible veteran and confirm your Certificate of Eligibility is ready for your VA Loan. If you’ve already got that sorted out, then you’re ready to start shopping for how much you’ll qualify for. How can I get a VA Mortgage loan in Kentucky in 2019? Kentucky veterans and active duty service members are eligible. However, all veterans, active duty service members and National Guard members must meet certain requirements. Also, Kentucky VA loans are available to the surviving spouses of military members who died in the line of duty. How does a Kentucky VA Home Mortgage Loan Work? The Veterans Administration guarantees the loan, but they do not make it.. VA sets forth the guidelines as far as credit, income, assets, property requirements and inspections, but the lenders use this to make a lending decision. Usually the credit, income and assets, i.e. bank statements, pay stubs and tax returns, along with credit report and credit score to get a pre-approval upfront. The appraisal report is done by VA assigned appraiser in the area and neither the lender, borrower, realtors, sellers, have no control as far as choosing the Kentucky VA appraiser. VA will typically give the VA approved appraiser 10 days to make contact, and usually get the appraisal report back within 7-10 days after inspections. How much can I borrow with a Kentucky Mortgage VA loan? The Kentucky VA Mortgage Loan Limits for 2019 were just published. . Currently, loan limits are $484,500 for all Kentucky Counties in 2019. They go off conventional guidelines from Fannie Mae. Now, will you get approved for $484,500 loan limit?–That all depends on your credit, income, assets, monthly debts when they run the application through AUS or DU. What is the credit score or fico score required for a Kentucky VA Mortgage loan? VA has issued guidelines that calls for no minimum credit score. However, most VA Kentucky lenders will want to see a credit score of at least 620 before approving the mortgage. There are two lenders we work with currently that will do down to a 500 credit score, but it is very difficult to get them approved . The best thing to do is let someone pull your credit and see where you are at and go from there. A lot of lenders you will see will want a 620 credit score, with a few going down to 580. Again, this will vary greatly from lender to lender and be based upon our automated underwriting findings (AUS) from Desktop Underwriting. Do VA Loans Require a Downpayment. Kentuck VA home buyers do not require a down payment. It does not matter if you have a 500 credit score or 780 credit score, all VA loans offer a no down payment option to applicants. The only reason you would need a down payment is if you had to qualify for the home loan payment, or if you were borrowing with a co-applicant, that is not married to the borrower. 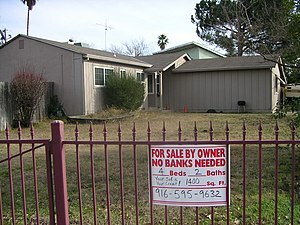 For example, if a veteran is legally married, and his wife is not a veteran, that is fine with VA and you would not need a down payment, However, let’s say the borrower and his friend or girlfriend wanted to buy a house together, and we needed the co-borrowers income and credit to make it work, then you would need to put down 12% on the home loan since the borrower and co-borrower are not legally married. Mortgage insurance on A VA loan? One of the great benefits of VA loans is that have no monthly mortgage insurance premium. When you compare this to FHA, USDA mortgage loans in Kentucky, you would need to pay monthly mortgage insurance. In order for VA to guarantee the home loan, there is a closing cost assessed by the VA to originate the loan called a funding fee. This fee will vary, depending upon the type of Kentucky VA loan, whether this is your first time to use your entitlement, if you are a disabled veteran, the down payment and if you served active duty or in the National Guard/Reserves. The VA home loan program is an excellent deal for active duty military personnel and non-active duty veterans. Take advantage of your benefits. Vets and Reserves/National Guard will get a significant benefit October 1st. Check the chart below to see how much they’ll save in fees. We hope this helps you help our military folks become homeowners! If you have any questions about this or a specific situation, please don’t hesitate to email or call. How long does it take to close a VA Mortgage loan in Kentucky? VA mortgage loans is the only Government sponsored mortgage that requires a termite inspection., so keep that in mindo on your inspections when you are having them done after the accepted contract. Can I only use a VA loan once in Kentucky? This is a common myth with many VA eligible home buyers and homeowners. If you’re eligible for the VA loan, then you’re eligible for your entire life. Plenty of home buyers end up using the VA loan more than once, mostly because it’s arguably the best loan program out there. Can I get a Kentucky VA Mortgage loan with a previous Bankruptcy or Foreclosure? If the applicant is still in the repayment period, as long as 12 months’ worth of satisfactory payments have been made and the trustee or Bankruptcy Judge approves of the new credit, the lender may give favorable consideration. First Time Home Buyer Qualifications in Kentucky. Showing 11 to 16 of 16 property(s).Showing 11 to 16 of 16 property(s). By American Way Realty, Inc.
3 bedroom, 2 bath home on nice level lot with access to state highway. Septic and water is unknown, however it appears that public is available. Property was built prior to 1978 and lead based paint potentially exists. Unable to determine the property year built, appears to be around 1950. This property may qualify for Seller Financing (Vendee). Property is being sold AS IS and WHERE IS with no warranties given or implied.